5W RMS mono power stage module with two inputs: pre-amplifier and power stage. The first mono input will preamplify the input signal and input it on the power stage. The power stage input will amplify directly, independent of the pre-amplifier. The modules include protection against inverse polarity, operating LED, gain adjustment, volume control, microphone pre-configuration and connection terminals. 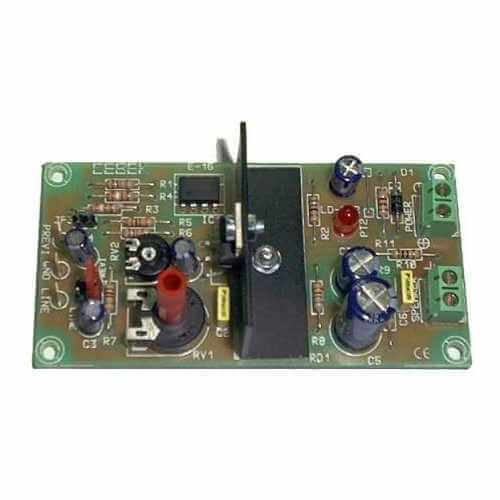 Requires 12V dc external power supply (Order Code CFE002 is suitable).